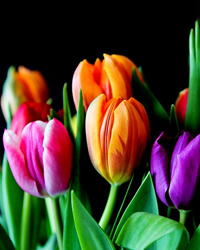 Obituary for Mary "Joann" Knauer | Thomas Funeral Home P.A. Mary “Joann” Knauer of East New Market passed away peacefully at home on April 8, 2019. Joann was born on July 3, 1936, the daughter of the late Lee O. Dodson Sr. and Sophronia Hurley Dodson. On August 7, 1955, Joann married Donald F. Knauer, who preceded her in death. Their son, Kevin Mark Knauer, died on January 22, 1981. Mrs. Knauer is survived by brothers Lee O. Dodson, Jr. and Herbert T. Dodson (Faye), and by sisters Rosalie D. Dolan (Thomas), and Mildred D. Phillips. Joann has one living cousin, Herbert R. Dodson Jr. of Summerville, South Carolina. Joann’s special godson, Dr. Bart Rogers of Hanover, Maryland, was always regarded as “My other son.” Mrs. Knauer has many living nieces, nephews, grandnieces, and grandnephews, who are too numerous to list. She wished to thank the caregivers who assisted her around the clock in her final months, for their many kindnesses. She also wanted to extend her love and appreciation to her many friends, especially Mr. and Mrs. Hobart Rogers and to Mrs. Sandy Spedden, who often visited her during her final illness. Joann graduated from Cambridge High School in the class of 1954. She was a regular communicant at Sunnyside Alliance Church. A memorial service will be scheduled later, for family members only, in accordance with her wishes. She donated her remains to the Anatomy Board of Maryland. Donations in memory of Mary Joann Knauer may be made to the Sunnyside Alliance Church, P.O. Box 9, Secretary, MD 21664, or to the Coastal Hospice Foundation, P.O. Box 1733 Salisbury, MD 21802. Arrangements are in care of Thomas Funeral Home, P.A. in Cambridge, MD.